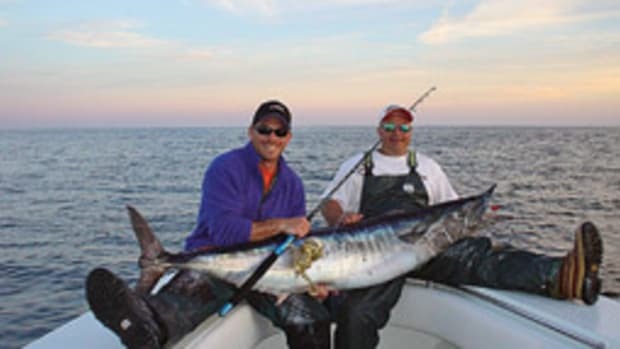 Nearly 20 years ago, autumn was settling over the long, sloping fields that line the Chester River on Maryland’s upper Eastern Shore. 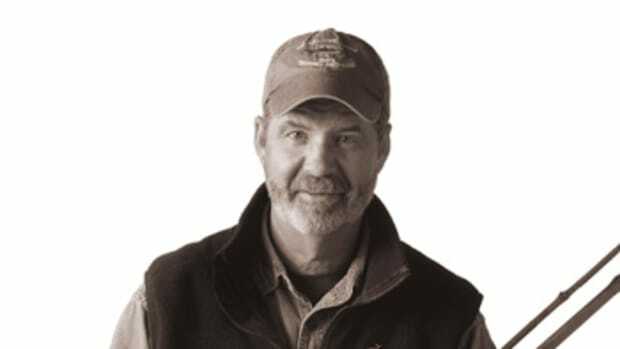 The crew of the schooner Sultana, based in Chestertown, Maryland, had an idea: Why not mark the end of a successful season by asking the tall ship across the bay, the Pride of Baltimore II, to come on over for a party? The crews could swap tales and the ships could sail side-by-side just when the leaves were turning gold, the wind was crisp and the rockfish were running. 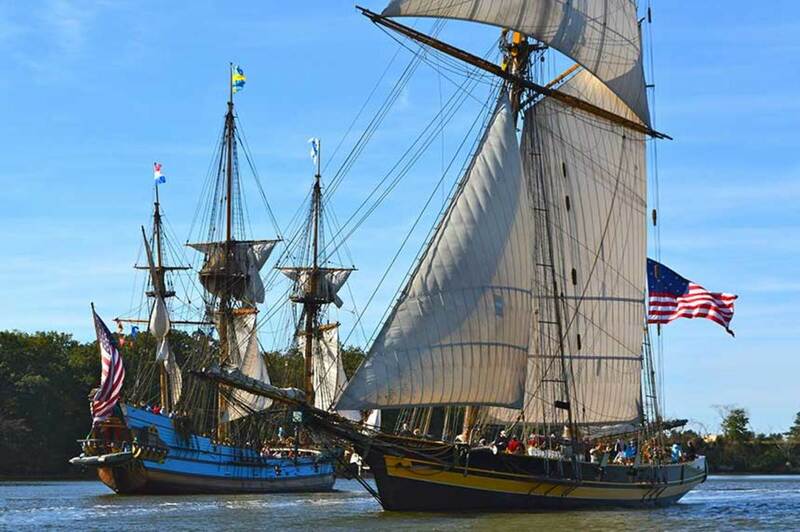 These days, what’s known in Chestertown as “downrigging” has become one of the largest tall ship and wooden boat festivals on the East Coast. 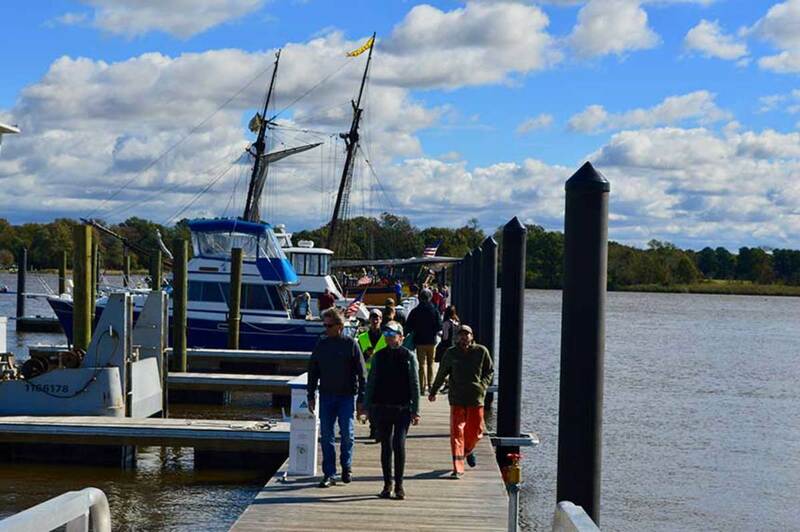 Thousands of people come by car, and scores of boaters travel the 26 miles from the river’s mouth to the historic port of Chestertown to spend the weekend listening to music, ogling traditional craft and time traveling in their mind’s eye. 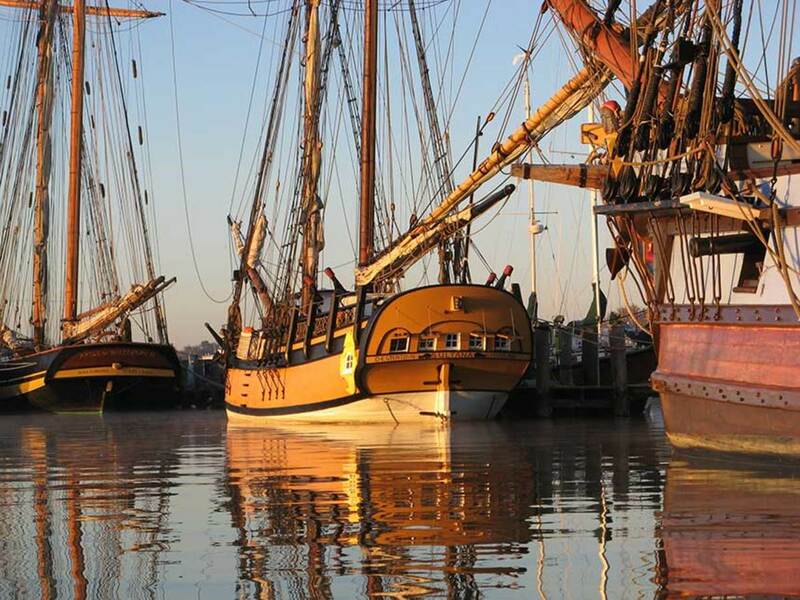 As one of the best-preserved and most intact Colonial seaports in the mid-Atlantic, Chestertown was designated a National Historic Landmark in 1970. In Maryland, only Annapolis has more Colonial-era buildings, but Chestertown also has the alchemy of an untrammeled riverscape and a welcoming, small-town vibe. Primarily still in the hands of legacy landowners, the Chester River’s shoreline remains open and agricultural, largely free of the condos and McMansions that dominate other waterways. 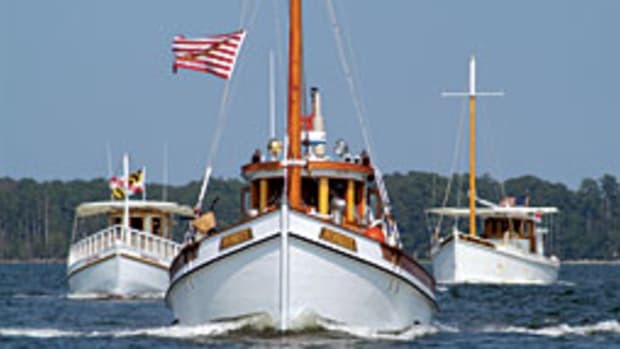 The shoreline’s sweeping reaches and looping elbows provide miles of scenic, relaxing cruising (as long as you don’t miss the marks at one of those elbows) heading upriver from the hustle of Kent Narrows and the Chesapeake Bay. Approaching Chestertown, the past is present in Water Street’s stately brick homes that have faced the river since the 1700s. Among them are the 1767 Hynson-Ringgold House, where George Washington really did sleep, and the 1740s-era Custom House, a critical building for the bustling Colonial port of entry. Both are today part of Washington College, founded in 1782 as the first college in the new republic. Washington himself served on its Board of Visitors and Governors. Starting this spring, boaters can base explorations just a few doors away at a $6 million municipal marina. Purchased by the town in 2012, the marina at the foot of Cannon Street has a new infrastructure underneath. With the main piers extended 70 feet farther into the river, and with T-heads as well as floating docks added, the marina can accommodate boats up to 100 feet in length with depths to 18 feet. A new building houses a ship’s store, visitors center, showers, bathrooms, laundry and office space. One of those strengths is its people, including Mr. Mayor himself, who is just as approachable teaching a bunch of schoolkids at the Sultana Education Foundation’s new $1.8 million center on Cross Street as he is walking around in a top hat during the annual Dickens of a Christmas festival. With an energetic core of business owners, artists, advocates and entrepreneurs, Chestertown’s cultural community has earned a state designation as an Arts and Entertainment District. The place packs an inordinate creative punch for a town with a population of only about 5,000. Nearly a dozen galleries and arts studios are within about three blocks, supporting many shops, eateries, arts venues and events. An easy two-block walk from the marina on tree-lined, brick sidewalks leads to Fountain Park, multiple galleries, the Garfield Center for the Arts at the restored Prince Theatre and local gems such as Music Life, where boaters can pick up an instrument and play. At The Listening Room, boaters can browse the vinyl stacks while listening to high-end audio systems that sell in the triple digits. At the Bookplate, there are community poetry readings amid the stacks of used, new and rare books. 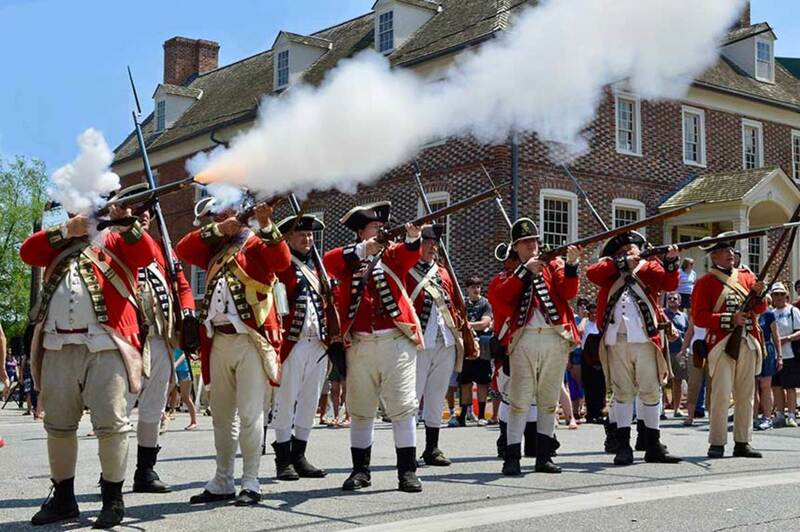 Battle reenactments create the culture. Shops such as Twigs & Teacups, Chester River Wine & Cheese Co., Chestertown Natural Foods, and She She on High make for a diverse day of retail therapy, fortified by a range of eateries including Figg’s Ordinary, which specializes in gluten- and refined-sugar-free foods. There’s also the easygoing Play It Again Sam, The Kitchen at the elegant Imperial Hotel, and light fare coupled with handcrafted brandy, rye, gin and grappa at Bad Alfred’s Distillery. On Saturdays, the full flavor of Chestertown is on display at a weekly farmer’s market, renowned as one of the best on the bay. If you’re lucky, maybe you’ll get to rub shoulders there with a tall ship crewman or two. 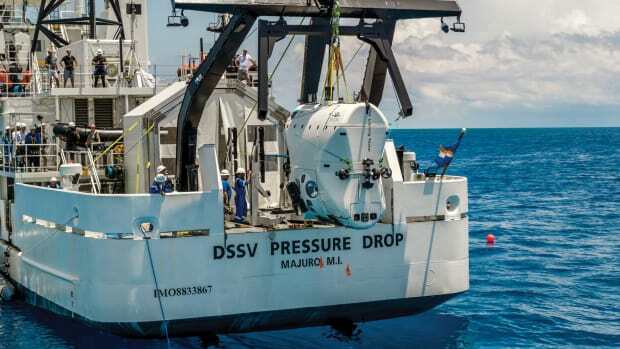 Triton Submarines launches a new submersible designed to explore the deepest parts of the world’s oceans, over and over again.